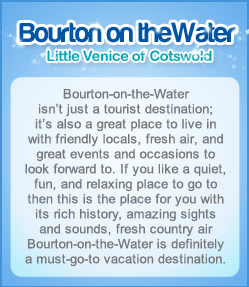 Bourton-on-the-Water is a great place to visit with its scenic view of the country side and rich history. But there are other places near Bourton-on-the-Water you can also have a great and fun time visiting such as Stow-on-the-Wold and Moreton-in-Marsh. Stow-on-the-Wold unlike Bourton-on-the-Water is a small market town that stands on top of a hill which is about 800 feet. The town wasmore popular back in the days where it was a vital part of the trading industry since the famous Roman Fosse Way road runs through the town. And did you know that Stow-on-the-Wold was also a very important place during the Civil war because of its tactical advantage and there even was a very crucial battle that took place during the war and it was called the battle of Stow-on-the-Wold. Let’s talk about something more interesting about Stow-on-the-Wold like what it offers to tourists such as attractions, accommodations, food, and so on. One of the main attractions of Stow-on-the-Wold is the Park Toy House Collectors Museum that has an assorted collection of toys from the country’s private toy collectors. You can find a lot of toys from airplanes and cars to dolls and even books that date back to Edwardian and Victorian times. Another notable place to visit while in Stow-on-the-Wold is the Cotswold farm park which is perfect for travelling families. It houses a variety of rare animal breeds and the picturesque natural beauty of the country side. You can take the gorgeous walking trails, visit the animal petting area, and even set up camp in the park’s camping and caravan area. Stow-on-the-Wold is a great place to start when you’re going on a vacation to Cotswold since it has the Roman Fosse Way runs through it and it’s relatively near Bourton-on-the-Water. Stow-on-the-Wold is a simple and peaceful town yet is vibrant with its relaxing atmosphere and kind locals. Moreton-in-Marsh is another small town in Gloucestershire, England that also offers you a wonderful experience in travelling in the country side with historic buildings that use bright, yellow Cotswold stone bricks and so much more. amazing to look at. Sezincote house and gardens also has a Persian garden where you can take a walk with your family and it also has Hindu temple. weekly market fair every Tuesday which is very popular and vibrant market. If you’re wondering if there are any accommodations in Moreton-in-Marsh you can find plenty of bed and breakfast, hotels, and inns to choose from. Bourton-on-the-Water is just the start of a great adventure waiting for you when you visit country side of Cotswold. You can visit places such as Stow-on-the-Wold, Moreton-in-Marsh, and many more. These places offer a bustling and friendly community, historic places and buildings, great food and accommodation, and a getaway from the hassles of the city life.